You may have heard that tinnitus can be successfully treated with hearing aids. Tinnitus (“TIN-a-tus” or “Tin-EYE-tus”) is the perception of sound in the head when no outside sound is present. It is typically referred to as “ringing in the ears,” but other forms of sounds have been described by people with tinnitus. The best treatment of tinnitus is to eliminate the underlying cause; however, diagnosis can be very difficult. Tinnitus can occur in one ear or both ears, and can be perceived to be occurring inside or outside the ear. 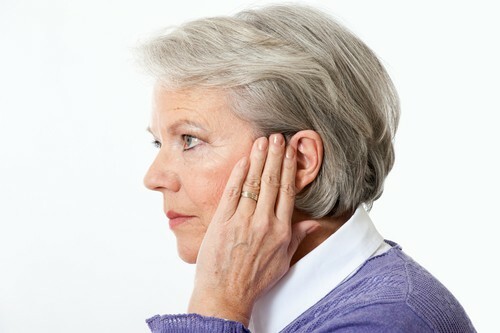 Tinnitus can be a symptom of a condition that causes hearing loss, or it can exist without any hearing loss. Thing Every Person with Tinnitus Wants – RELIEF! There is a new tinnitus treatment solution that will forever change the way people deal with ringing in the ears. Called Xino Tinnitus, it is designed to deliver all day relief from tinnitus. Using Starkey’s patent-pending Multiflex Tinnitus Technology, Xino Tinnitus creates a customizable and comforting sound stimulus that you and your hearing professional can fine-tune to soothe the unique, irritating sounds you hear. And because many cases of tinnitus involve hearing loss, it also features advanced hearing aid technology, as amplification has been shown to help with relief. Find out if Xino Tinnitus is right for you.